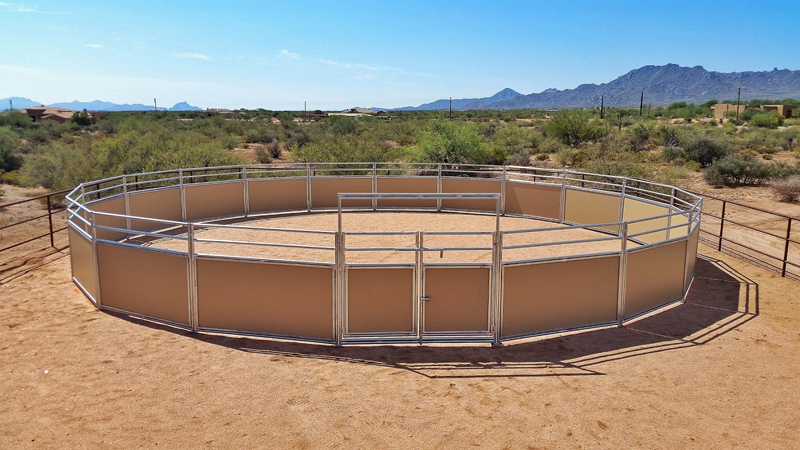 FCP’s Round Pens, Longeing Pens and Breaking Pens are ideal for training or exercising your horse in a controlled area and can be a powerful tool for developing or maintaining a relationship with your horse. 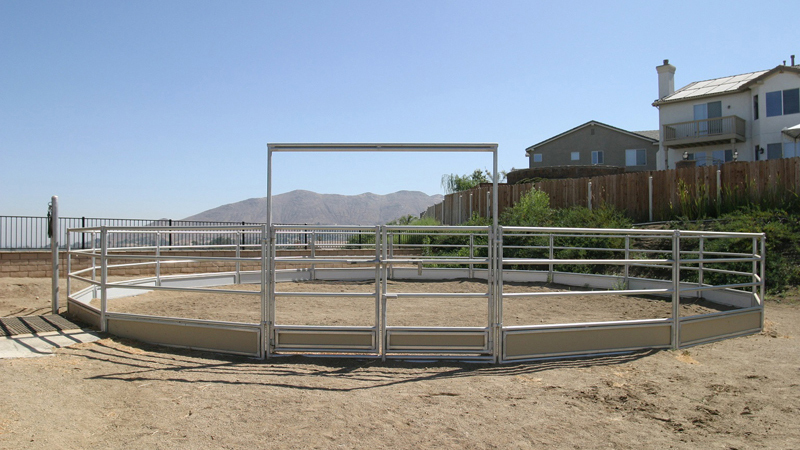 FCP offers the broadest selection of pens in the industry and uses the same premium galvanized materials and certified workmanship as our barns and buildings. 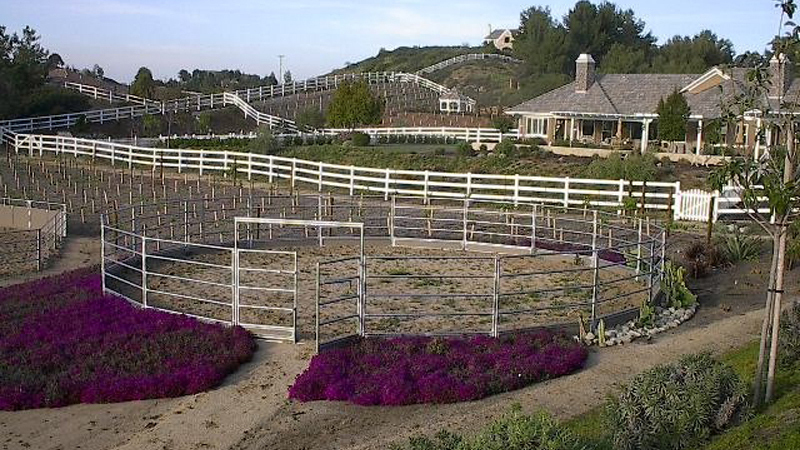 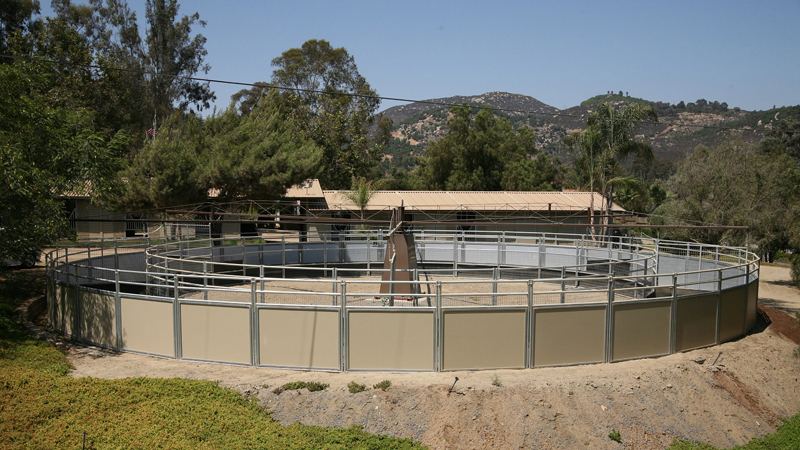 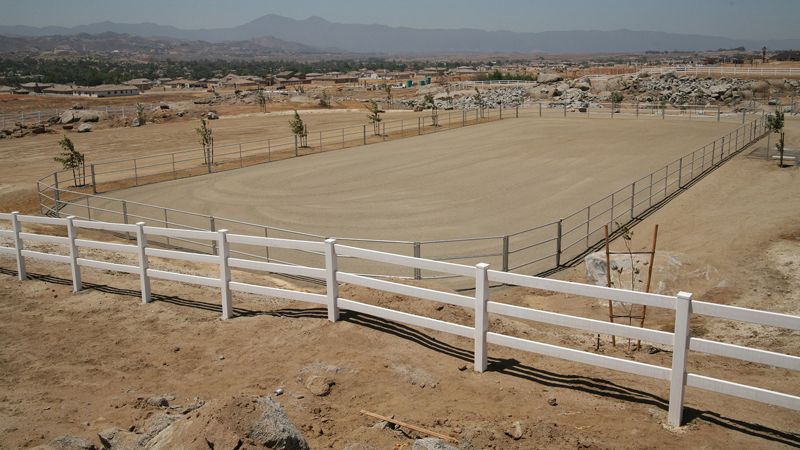 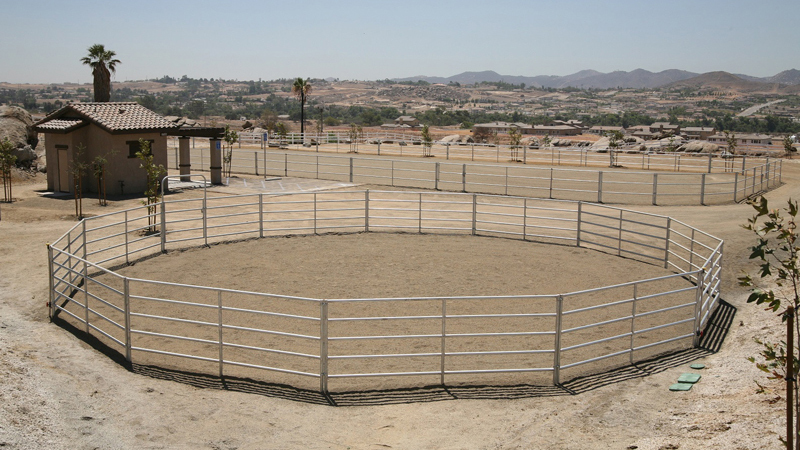 We can design the perfect round pen, in any diameter you desire, that will be a reflection of your individual style and need. 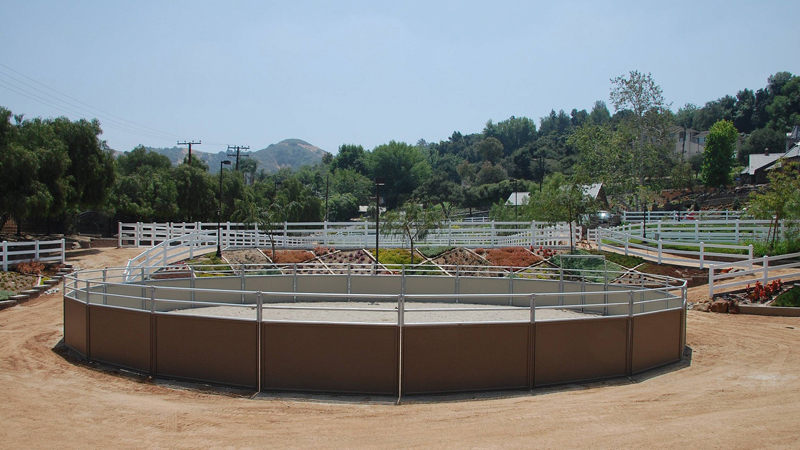 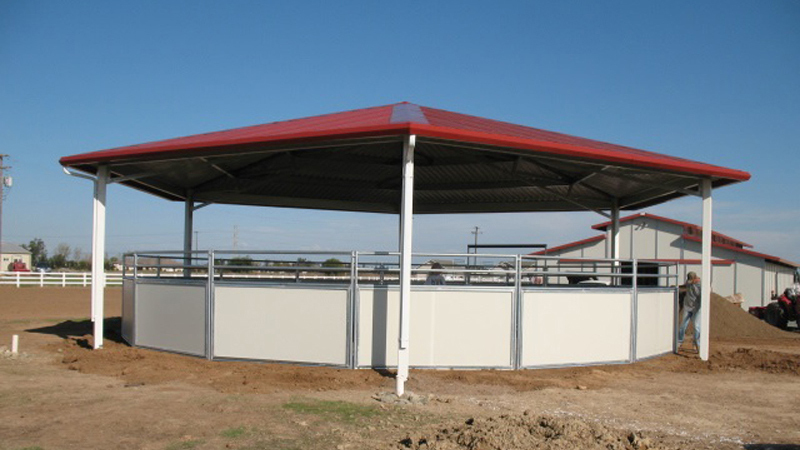 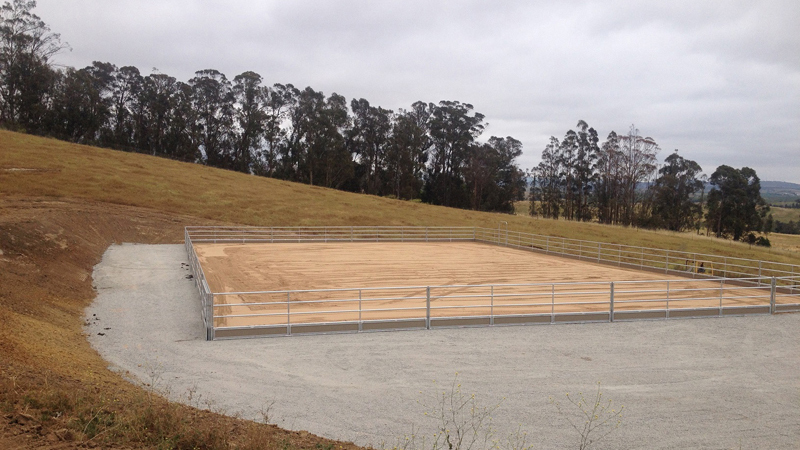 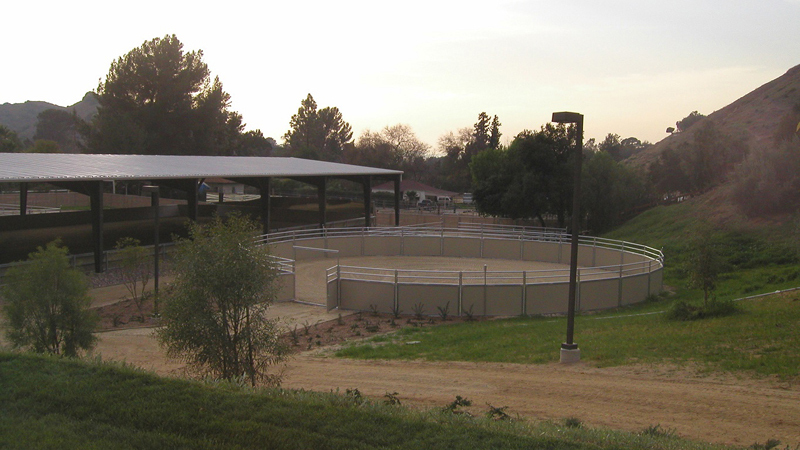 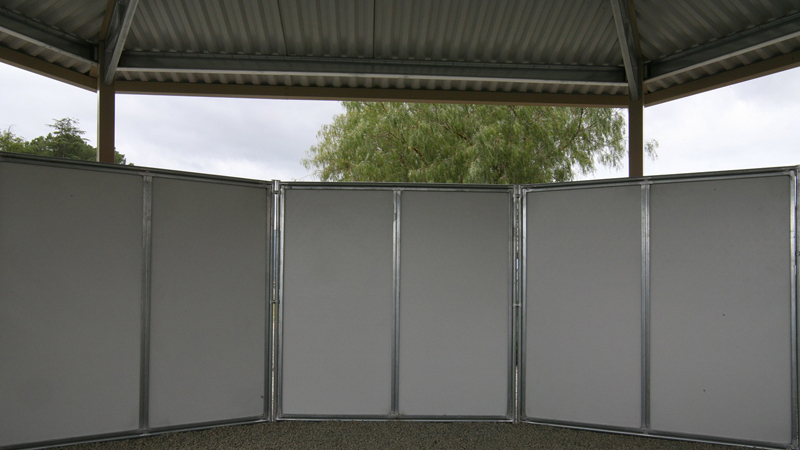 FCP can also offer you protection from harsh weather conditions by covering your round pen with our Round Roof Cover. 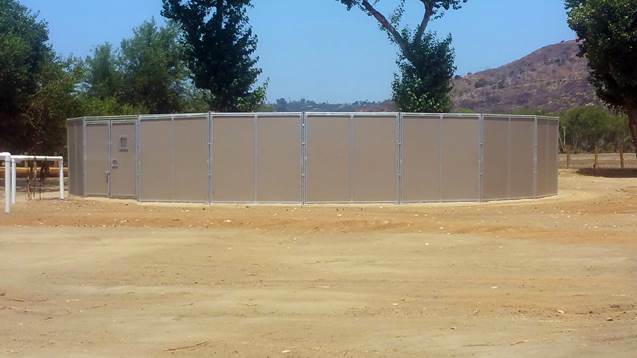 All our durable solid wall pens come with our lifetime kick-thru warranty.